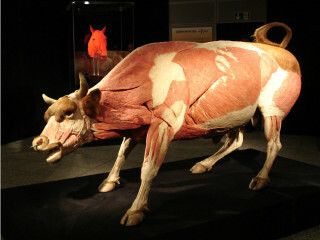 Visitors to the Perot Museum of Nature and Science's newest exhibit, Animal Inside Out, can explore the intricate biology, zoology and physiology of the world’s most spectacular creatures, large and small in this fascinating new exhibition by Body Worlds creator, anatomist Dr. Gunther von Hagens. The exhibit takes visitors on an anatomical safari of approximately 100 specimens. Each animal is painstakingly preserved by the process of Plastination, invented by Dr. von Hagens. $11-$15 for members, $18-$27 for non-members.